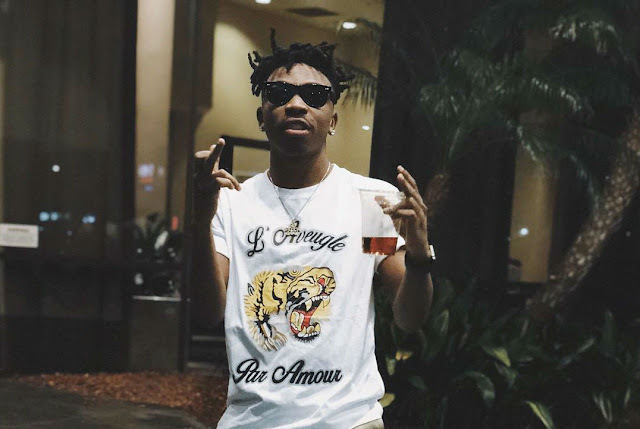 Home / Entertainment Gists / Mayorkun Set To Drop First Album Ever! DMW signee and "Mayor Of Lagos" as he's popularly called hasn't disappointed his fans in dropping steady jams that end up becoming hits. The young artiste who recently claimed the Headies "Next Rated" Award for himself has hinted fans via his twitter page yesterday about his forthcoming album. He has made no mention of the album title or when he would drop it or even what artistes would be featured but all we know is that he's currently working on this and he doesn't want to be disturbed! I repeat.. He doesn't want to be disturbed so stay away ladies.. lol..
We very much believe that Mayorkun will offer us nothing but the best seeing as this will be his first album ever! 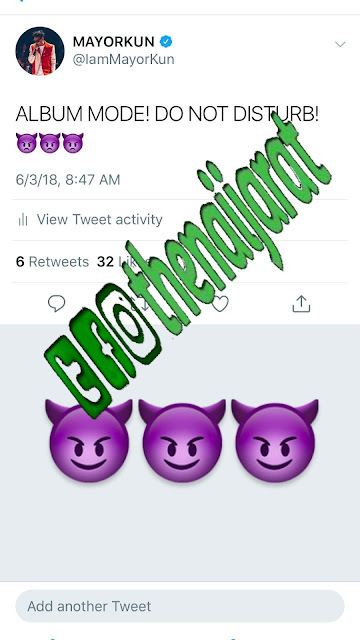 As expected from a member of the DMW crew headed by Worldwide Superstar Davido aka OBO. Nothing but greatness from this crew!